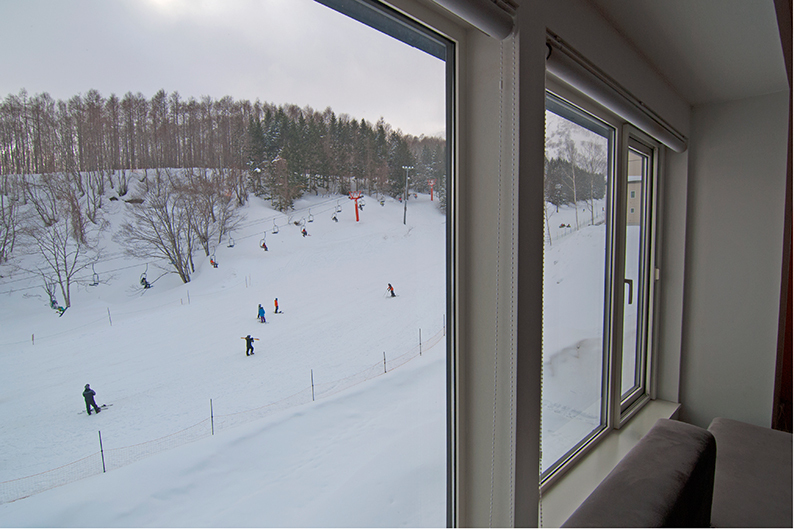 First Tracks apartments are located in Upper Hirafu Village in a prime location right next to the Family Run. The location of the apartments makes it the ideal accommodation for families with young children, or those who just want to be as close to the slopes as possible. 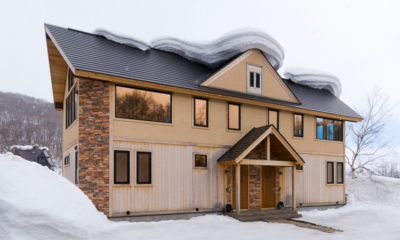 Our team stayed here – check out our verdict on our slope-side stay at First Tracks. 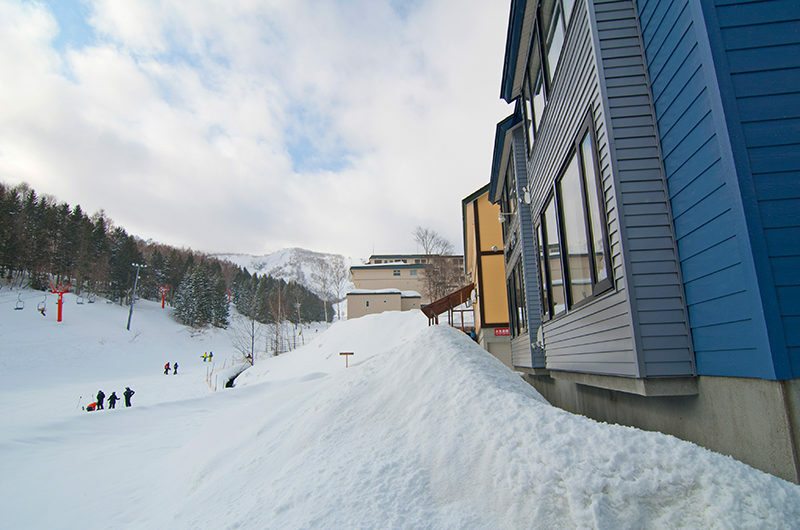 The Family Run is the gentlest slope in Hirafu, perfect for first-timers and young children. The slope is accessed by the Ace Family Pair lift, which is a slow-moving double chair which is ideal for beginner skiers learning to use a chairlift. 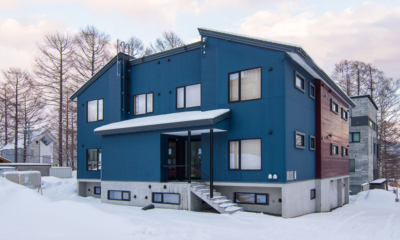 Niseko Base Snowsports (NBS) is located at the base of the slope, offering private and group ski and snowboard lessons for children and adults, as well as equipment hire. 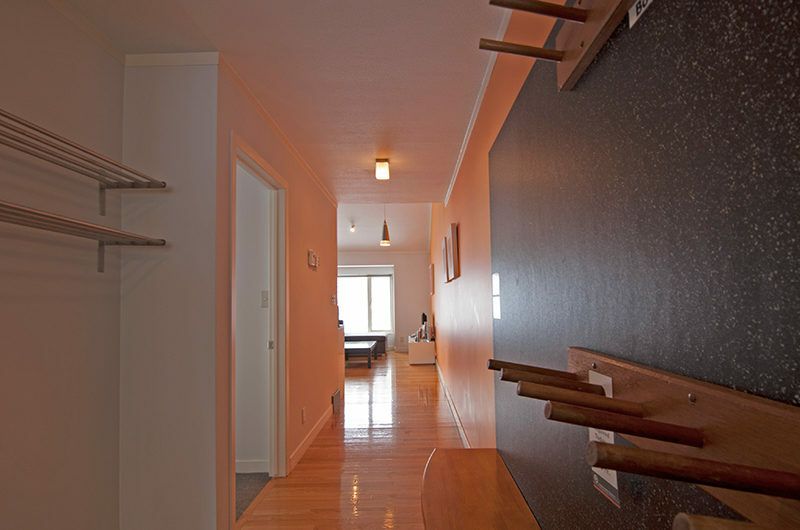 The Ace Family Pair lift can also be used by advanced skiers and boarders to access lifts further up the mountain. 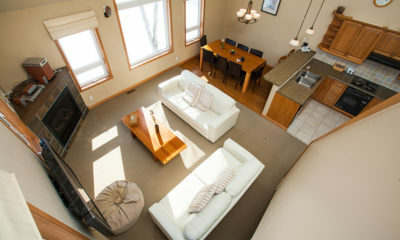 First Tracks offers both two and 3-bedroom apartment options, sleeping up to seven guests. 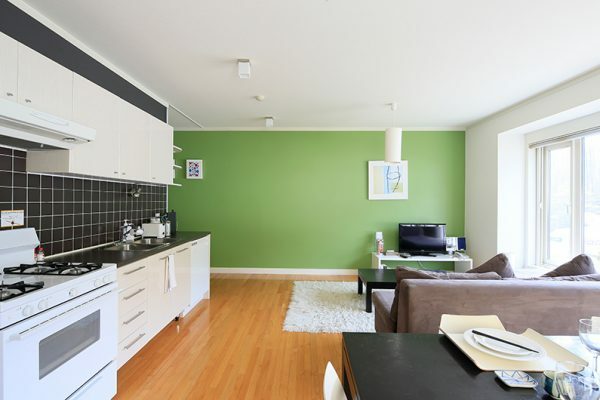 The apartments are fully self-contained and feature high-quality, modern fittings and furnishings. 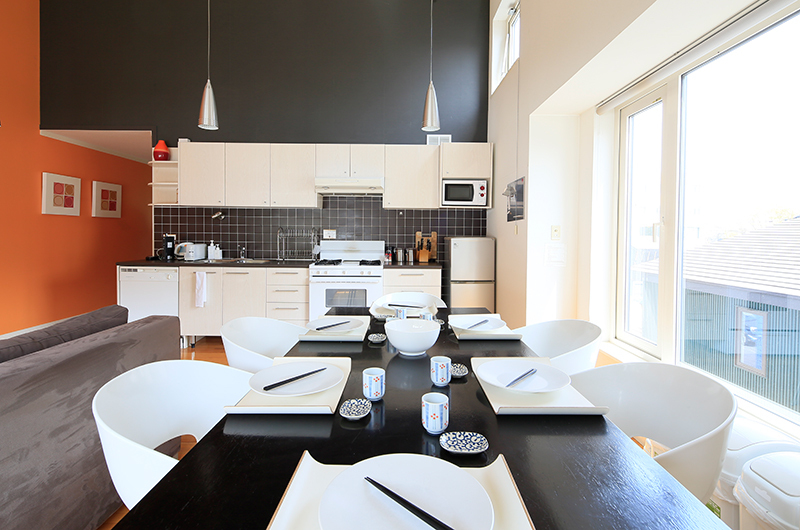 They come with a fully equipped kitchen with a dining area to seat up to six people. 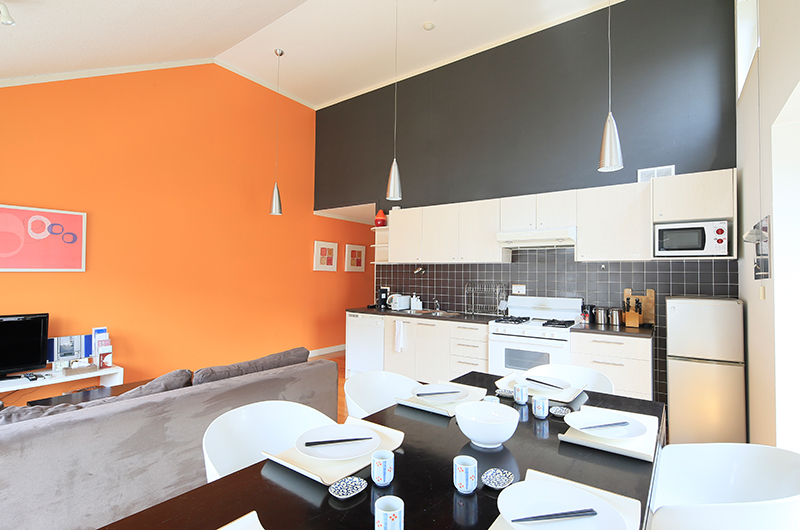 The lounge and dining areas have views of the Family Run. 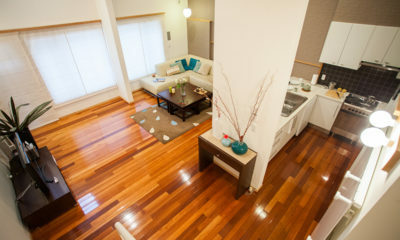 There’s also satellite TV with English-language channels, including movies and news, plus a DVD player, mini hi-fi and wireless internet connection throughout the property. 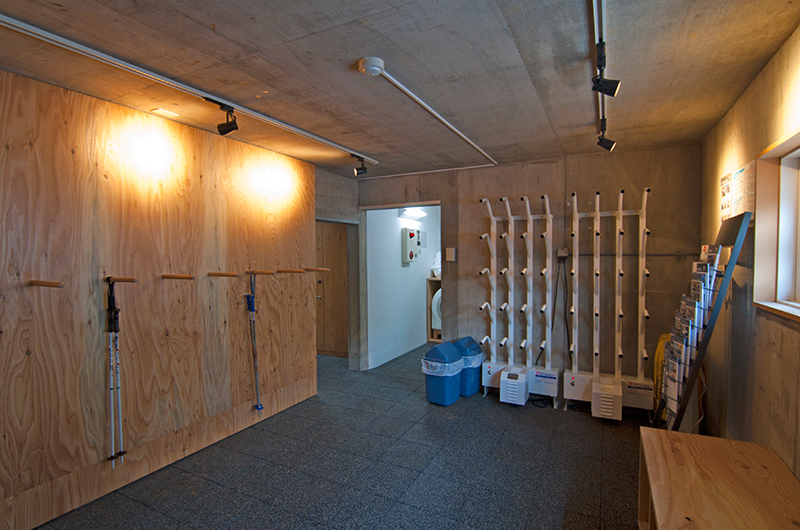 The basement has a common area with laundry facilities, and ski and snowboard storage area and tuning bench. 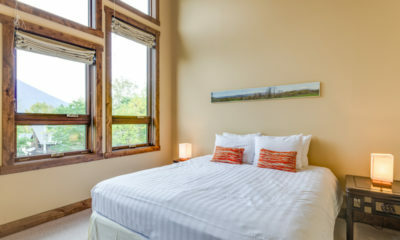 Spacious and comfortable, with two western style bedrooms featuring either King Double or Single beds as required with a bathroom to share between them. 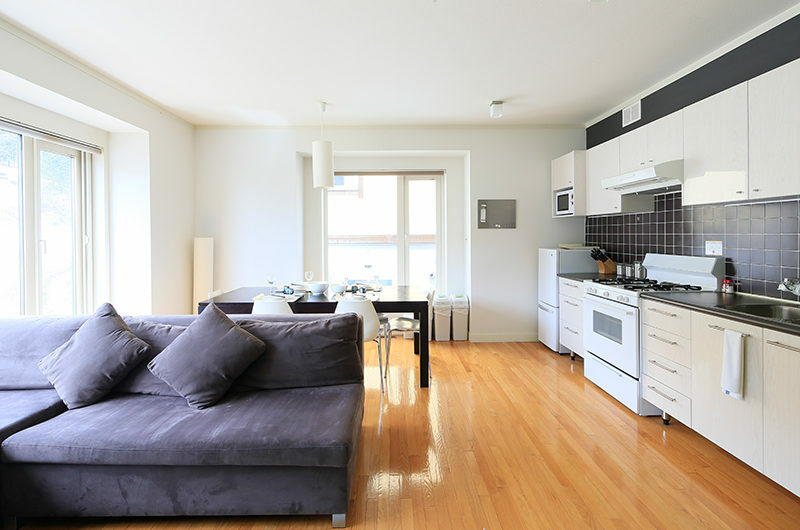 A full western-style oven is the showpiece in a full-feature kitchen. 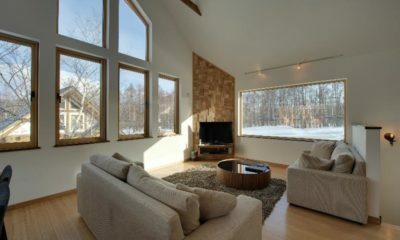 Feature windows in the living room look out over the ski slopes, which are literally just out the back. Improves upon the 2 bedroom by adding an en suite bedroom on the loft level. 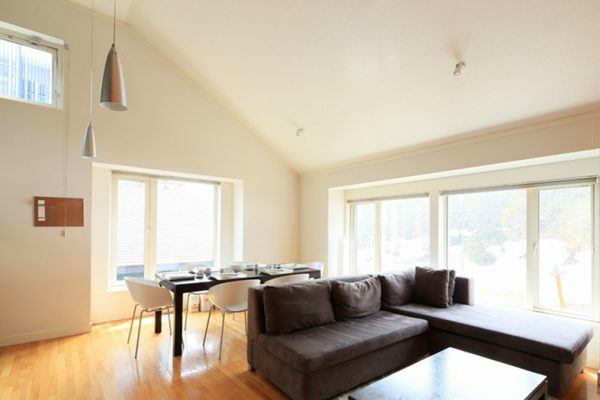 Enjoy expansive dining and living areas, fully functional kitchen and views of the ski slopes throughout from this unbeatably located apartment. 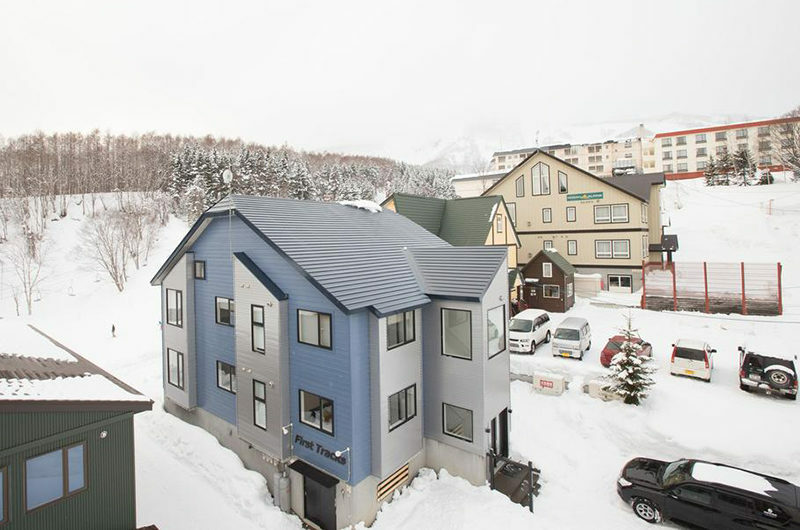 First Tracks is located on a side street just off Hirafu’s main intersection. 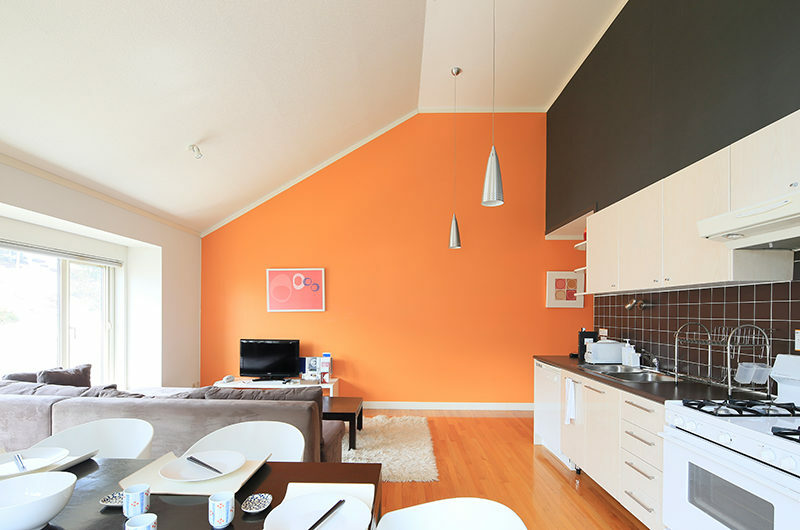 A short two minute walk downhill will get you to where all the night-life is, but as the apartments are not on the main street you can count on a little peace and quiet in the evenings also. First Tracks is located right next to the Ace Family Slope, just steps away so you can be first in line for the lifts each morning! 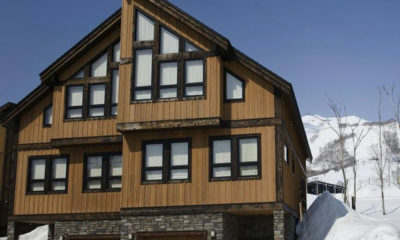 The Ace Family Pair lift is perfect for beginners, but also can be used by more advanced skiers and boarders to access the lifts higher up the mountain without the need to walk up the hill or catch the shuttle bus. 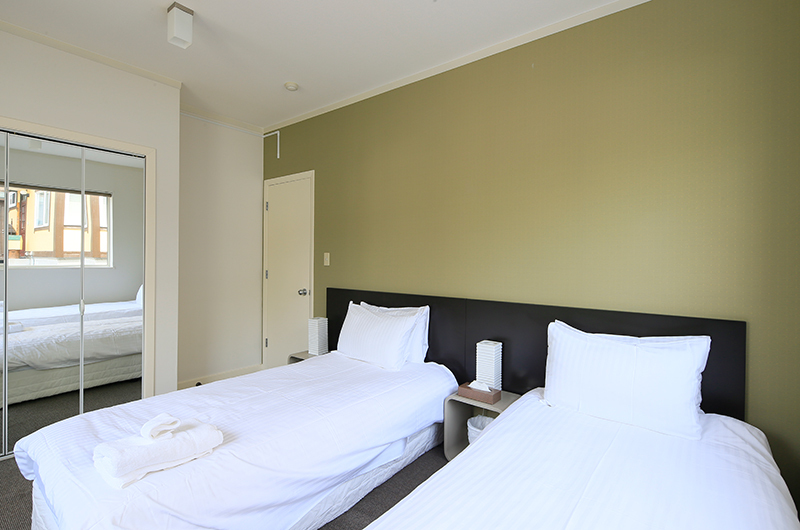 If you do want to catch the shuttle, it’s only a couple of minutes walk from the apartments. 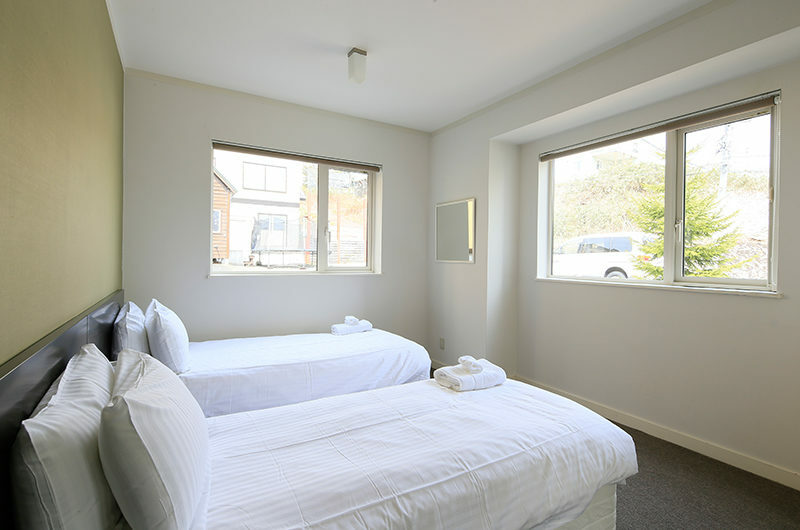 If you’re heading out for a meal or a drink at night, you don’t have to go far to get to some of the best restaurants in Hirafu. 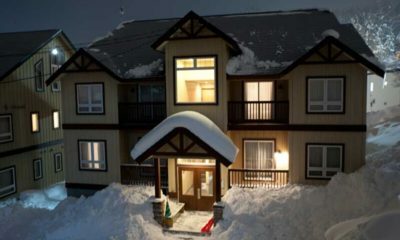 First Tracks can be found just behind one of the main streets – Hirafu-Zaka street – which is home to many great restaurants and bars. 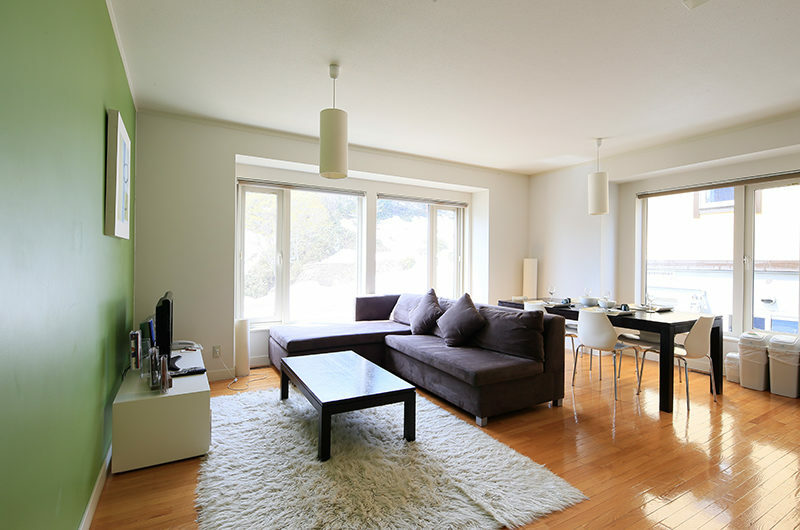 It’s also a short walk to the Seicomart convenience store or Gorilla Supermarket if you need to pick up a few groceries. 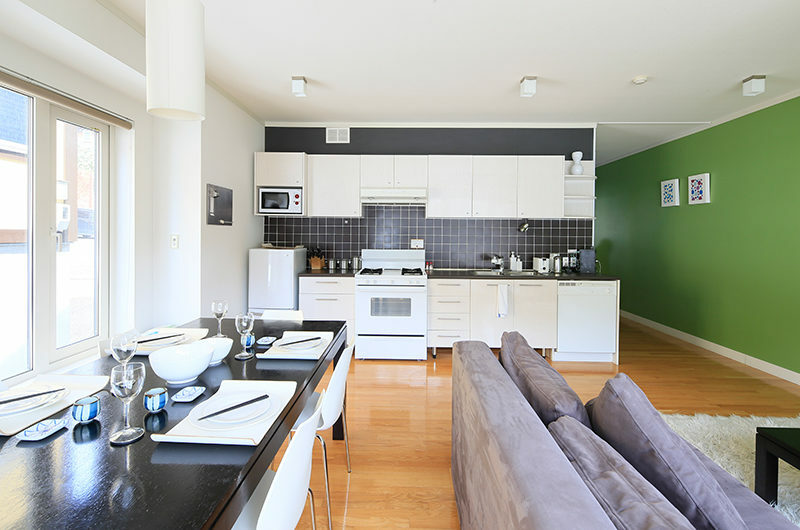 Our two-bedroom apartment had a fully equipped kitchen and with the Seicomart convenience store within a five-minute walk, snacking and cooking at the apartment was easy. 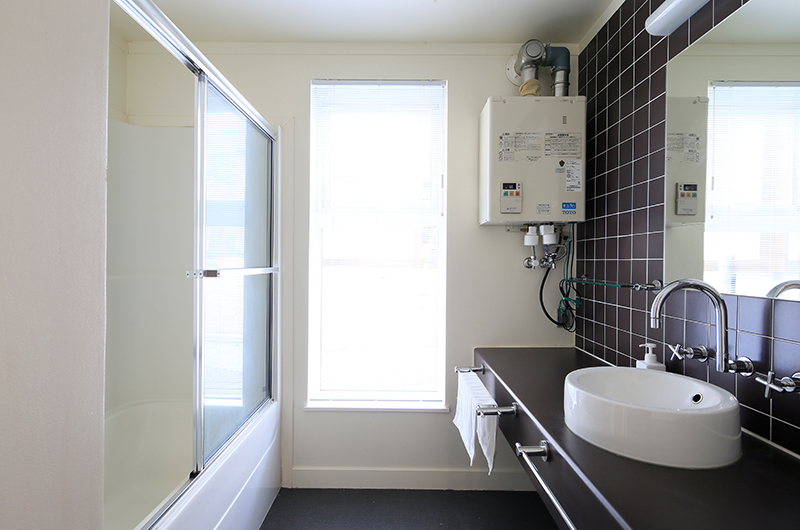 The apartments also have full laundry facilities, which is always great, especially if you’re travelling long term like we were. Recommend!